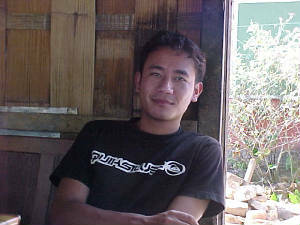 Home | Francis Lalhrilhtluanga(1979-2003) | fRancisRevisited-1 | TheOrygynalBrUus | The young and The hopeless!! | BruuMoments | FrancisAnother! | SinglesOf-Francis... | Lifegoeson! | MeM0rizz-2 | Memories-part one! | Francis is... | bruusagain | sOuVeniRs | After francis | JackassPiCniKK | Jesus help the Originalbruus!! | Poems for Francis! | PictureSh0w | AnotherPictureshow | The Author's view!! | Wake for young souls! | Firstshow | PhotoFrameDD! | Mala and byron! | Israel And Lala | Steve and pAul! | Sawma and Salim | MissyouFrancis! | MOre pics of Francis and the ORiginalbruus!! | Francis ah Thlan kan hung that ni! | Paul and i | Israel's thoughts | Msta and Samuel | bruus are back!!! | The end of francisworld! | New fotoz!! | The reason | Lalrosanga(smooth)remembers | tHey DiE young | Lala looks back! | Francis And a year | Sometimes..even now! | pictures-store | Francis story(new) | introducing Salim(new) | visions of a madman(new) | Creep | Guest book!